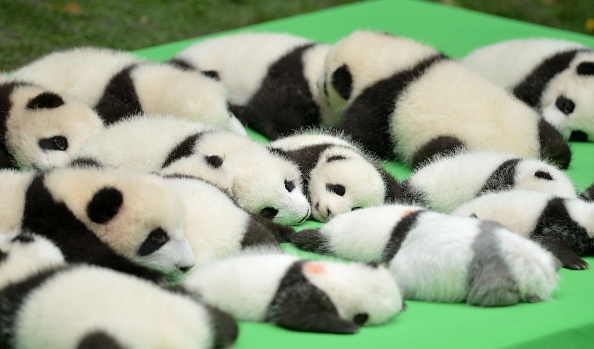 Prepare yourselves for a major cuteness explosion: On Thursday, 23 baby pandas made their first public appearance at China’s Chengdu Research Base of Giant Panda Breeding. The cuddly cubs are between one and fourth months old and there are 10 sets of twins among them, ABC reports. The video of the cubs shows them gathered outdoors on a slightly raised platform lounging, cuddling, yawning and squirming like babies tend to, but mostly just relaxing under the gaze of excited onlookers who miraculously remained calm in the face of all that collective cuteness. When a giant panda gave birth to two cubs at Zoo Atlanta in September, we discovered that newborn pandas are rather terrifying, but these baby pandas are a bit older, and clearly more on the charming side. 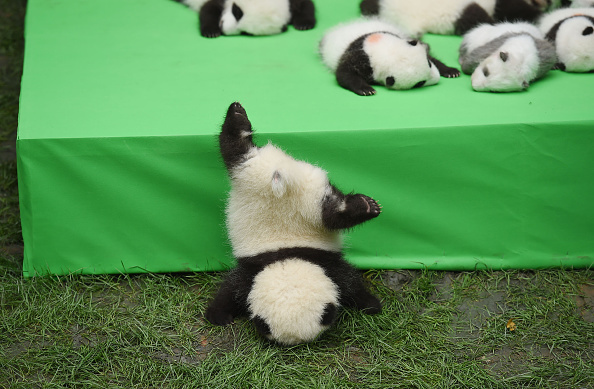 Also, like any recently born animal, panda cubs are adorably clumsy, like this one precious babe who learned all too early how embarrassing it feels to totally eat it in public. That is without a doubt the cutest. Face plant. Ever. Fortunately, the panda wasn’t injured. A staff member scooped the baby right on up where it proceeded to rejoin the mass chill sesh in progress. As cute as the animals are, the pandas’ birth actually brings light to a groundbreaking moment. According to the World Wildlife Fund, giant pandas are no longer an endangered species as of September. These pictures definitely give us the warm fuzzies and we look forward to seeing the animals grow into strong, healthy adults.